Sydney, New South Wales (May 15, 2014) – Polkadot PR, one of the most respected PR Companies in Sydney, will be helping Eden Gardens launch an Edible Pavilion in its Surry Hills location. To garner coverage for the event, the firm will open the pavilion to the media in June, offering them the delightful experience of picking fresh herbs and other produce from the garden. Whatever the guests harvest will then be used in a cooking demonstration. Eden Gardens’ founder and managing director, Simon Ainsworth, along with chief operating officer, Nicholas Levy, will lead the pavilion’s official opening, sharing the rationale behind the Edible Pavilion’s construction and how it can help the company. A guided walk of the garden centre’s premises will follow shortly thereafter, giving media guests the opportunity to pick items at their leisure from the Edible Pavilion. Afterward, a cooking demonstration, co-presented by head chef Grant Howe and personal trainer and specialist in plant-based diets Kes Commerford, will show guests how to best incorporate the fresh herbs and vegetables, straight from the garden, into delectable dishes. The media will then proceed to a sit-down meal at the Eden Gardens’ renowned Dragonfly Café. Table cards will explain the health benefits of the various plants used in the meals, and recipe cards will also be made available so participants can try cooking the dishes at home. Guests will also get to bring home samples of Eden Gardens’ products, seedlings, herbs, and other recipe options. The Edible Pavilion aims to be a one-stop resource for fruits, vegetable trees and herbs once it officially opens to the public. 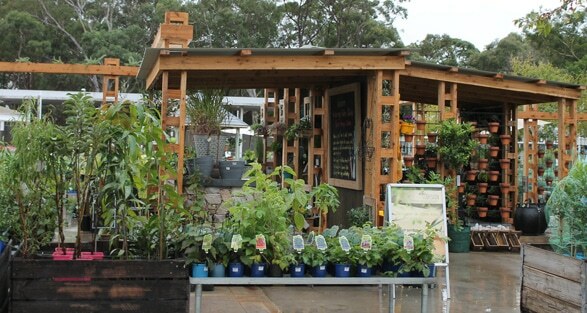 Apart from a refreshing dining experience, people can also buy gardening supplies from Eden Gardens, such as elevated garden planters, vertical garden walls, apple crates and self-contained gardening pots. The launch event is part of Polkadot PR’s creative pitch to help Eden Gardens gain attention from media outlets. The Sydney PR Company has assisted a diverse clientele in mounting successful launches that give them greater exposure and mindshare. To learn more about the company’s services, visit: www.PolkadotPR.com.au. The Public Relations Agency was started almost 10 years ago by former journalist Dionne Taylor. The firm offers a full suite of publicity services, which include PR strategy, media relations, stunts and photo calls, PR events management, social media PR, PR marketing, PR copywriting and celebrity seeding, among others. Despite their stature in the industry, the agency remains boutique in size and offers bespoke services to all clients.